It’s only been 2010 for a matter of days and Selfridges have already declared the 90s officially vintage. To me, this is great news, because the early 90s played host to one of fashions gurus – the Fresh Prince! You know it’s true … Will Smith was busting some mad styles in that series and it was all 90’s. Some people have been on the 90’s tip earlier than the Selfridges crew (Cassette Player, Stussy, Supreme and most kids from Shoreditch), with their big bold colours, classic fashion logo tees oversized polos, denim shirts and of course bent up panel hats. But now, apparently, it can officially be classed as vintage. I might have to bust out my style library again soon … aka The Fresh Prince DVDs. 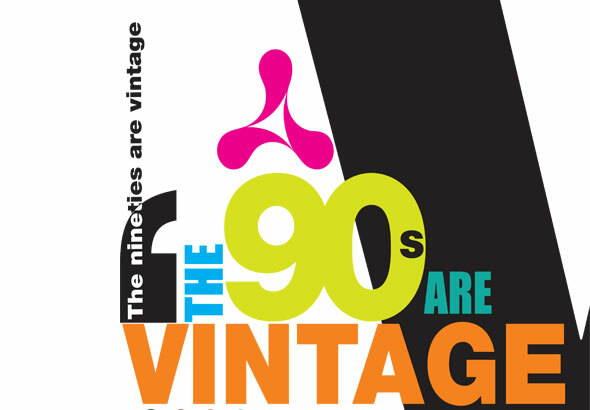 Anyway, the event launches on Monday with a 90s concept store at Selfridges, London. The store is gonna host the first retail collaboration with Rellik, some garms from Beyond Retro, IDEA books and music from the original 90’s Dalston club night; Work It. Pop down and check it out at some point in the next few weeks ‘cos it could be quite rad. Over 25 years old is the generally accepted definition of vintage clothing so Selfridges are about 10 years ahead of themselves! Be interesting to see tho’….